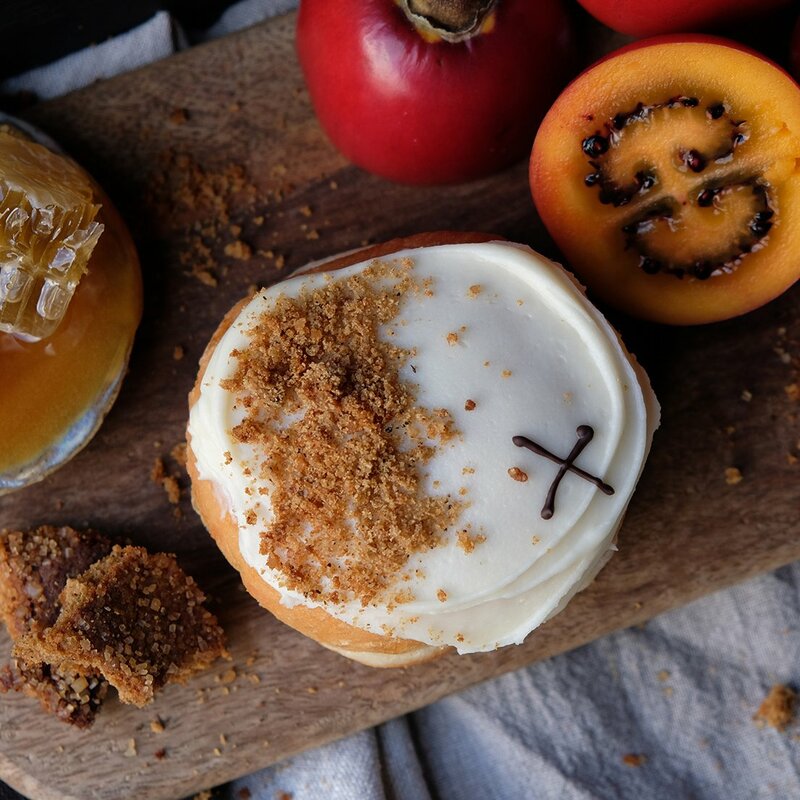 Our signature sourdough generously filled with tamarillo & apple compote. 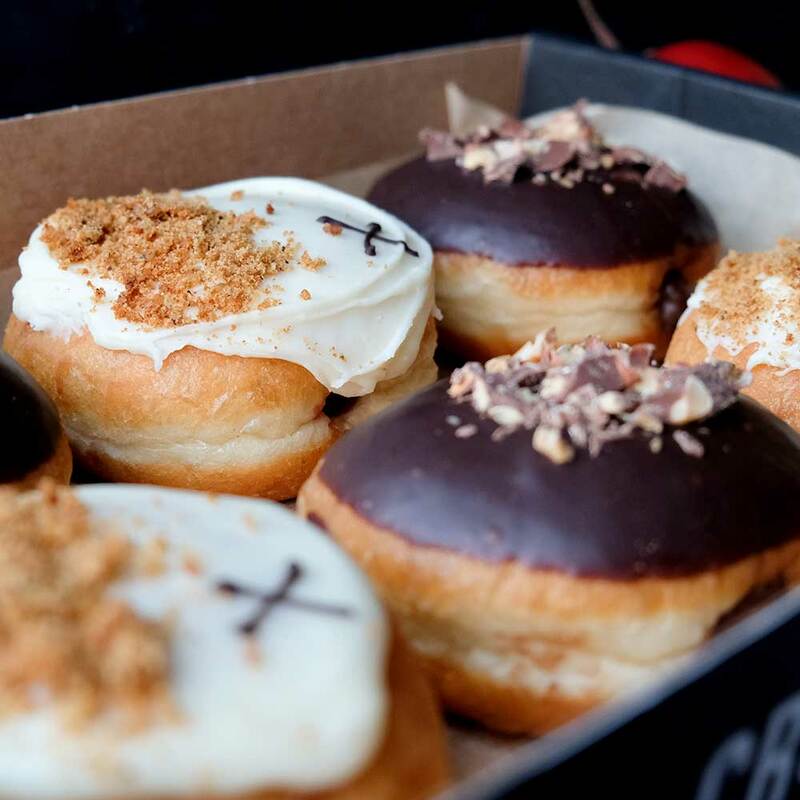 The top is smothered with a NZ Manuka honey icing and finished with Kiwi chef Peter Gordon’s homemade gingernut crumble. 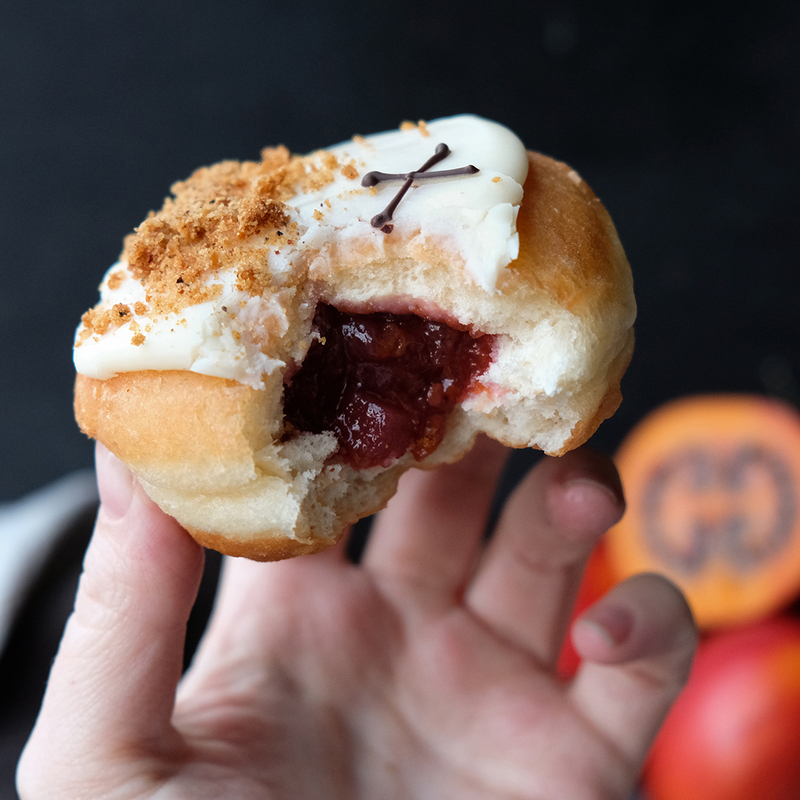 This flavour is available at all locations and as part of our limited edition Waitangi Day box from the 6th – 10th February 2019 (or until stocks last).